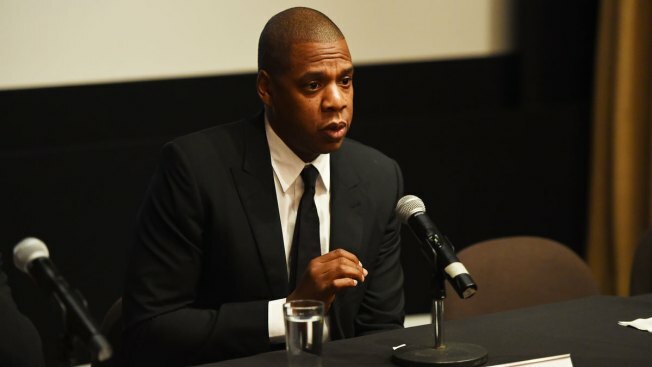 The SEC described Jay-Z as an "important witness"
Rapper Shawn "JAY Z" Carter participates in a panel discussion during Shawn "JAY Z" Carter, the Weinstein Company and Spike TV's announcement of a documentary event series on Kalief Browder on October 6, 2016 in New York City. A federal judge has ordered Jay-Z to appear in court next week to say why he's dodging a subpoena related to a Securities and Exchange Commission investigation of a company that bought his Rocawear clothing line. A statement issued on behalf of Jay-Z by one of his representatives said the entertainer had no role in Iconix Brand Group's financial reporting or its other actions as a public company. Jay-Z sold his Rocawear apparel brand and other assets to Iconix for $204 million more than a decade ago. The statement said the singer is a private citizen "who should not be involved in this matter." The SEC said in court papers that Jay-Z and Iconix continued some business partnerships after the sale. It said it's investigating Iconix to learn if federal securities laws were violated when the company reported financial results, including about its Rocawear-related assets. The SEC described Jay-Z, whose hits include "99 Problems" and "Empire State of Mind," as an "important witness" who has "defied two lawful subpoenas," failing to show up twice for scheduled testimony. Iconix lawyers didn't immediately return emails seeking comment. Jay-Z's court appearance could be set aside if he reaches an agreement with the SEC to answer questions.